When asked to describe a dream home, people will likely spout off the number of bedrooms they require, the type of flooring with which they are comfortable, or the sheer size of the space they feel is ideal. Although all of these items are important when searching for a new home, prospective homeowners must also consider the different neighborhoods and communities available to them to find a home that will truly enhance their lifestyle. To simplify the process of finding your ideal neighborhood/community, we’ve come up with a simple process that will guide you through the decision making process. Happy hunting! The first thing you need to do is make a list of must-haves and would-like-to-haves to determine where your neighborhood priorities lie. This list should encompass everything from the type of home you seek, such as a condo, villa, or single family home, that fits within your budget to the type and number of amenities the neighborhood has. You may be happy with a short list of amenities as long as it includes your favorites or you may need a growing list of amenities to make sure you have something different to do every day. Either way, you need amenities that will support your interests and hobbies. A good way to assemble this list is to include items that your current community is lacking. Write down everything to ensure they are included in your new neighborhood. Once you’ve determined the things you would like your perfect neighborhood to have, begin to think about the places you will go that are outside of your neighborhood. If you are a frequent traveler, a neighborhood with easy access to an airport may top your list. If you enjoy the arts, a neighborhood close to a thriving arts community may be just the ticket. Another thing to consider is the proximity to your job. That daily commute, if lengthy, will begin to take its toll. Once you have established your priorities and determined the types of places to which you would like to be near, choose the real estate areas that best suit your needs. Then, determine the top neighborhoods by listing the pros and cons of each to narrow down your choices. After that task is complete, consider the crime statistics, school ratings, tourist attractions, property taxes, association fees, and other area-specific statistics necessary to make your decision. This should leave you with a small number of neighborhoods that fit the bill. Now that you have a small list of neighborhoods that look good on paper, it’s time to move away from the digital world and hit the pavement. Visit your top neighborhood choices to see them for yourself. Most communities have sales executives that will give you a tour of the community so you can get a feel for each and every one. During that tour, envision yourself living there. Is the neighborhood as beautiful as you thought? Are the amenities as described? Do the residents seem to share in your lifestyle? Ask if you can speak to a couple of residents to get their opinion on the community. Sometimes, that is the best way to determine if it is the right fit. After you have gathered all of the information on each of your top neighborhood choices, it’s time to weigh your options and make a decision. At this point, it should be easy to determine your ideal neighborhood, but feel free to go over all the information again and weigh the pros and cons to make your decision. 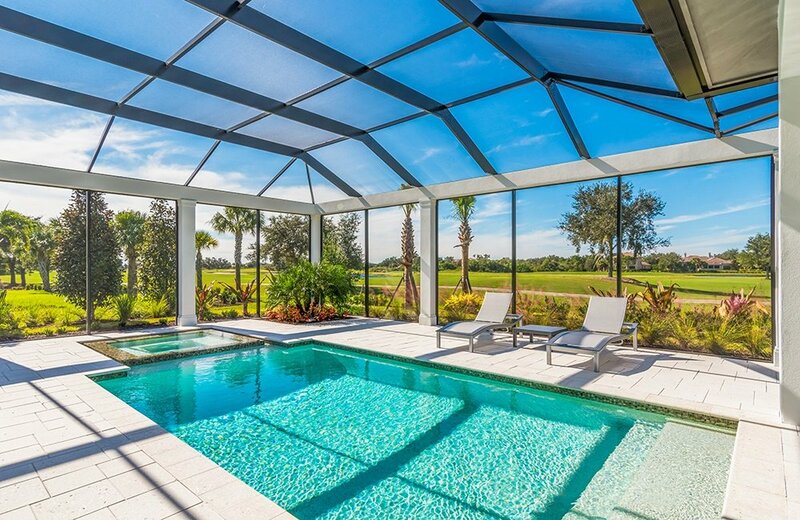 Prospective homeowners looking to settle in the picturesque setting of Sarasota, Florida should consider visiting The Founders Club. 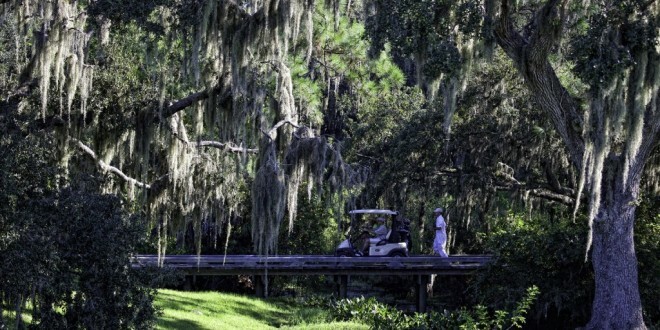 This new home community sits on more than 700 beautifully landscaped acres of soothing lakes and gently swaying stands of pines, palms, and moss-covered oaks. 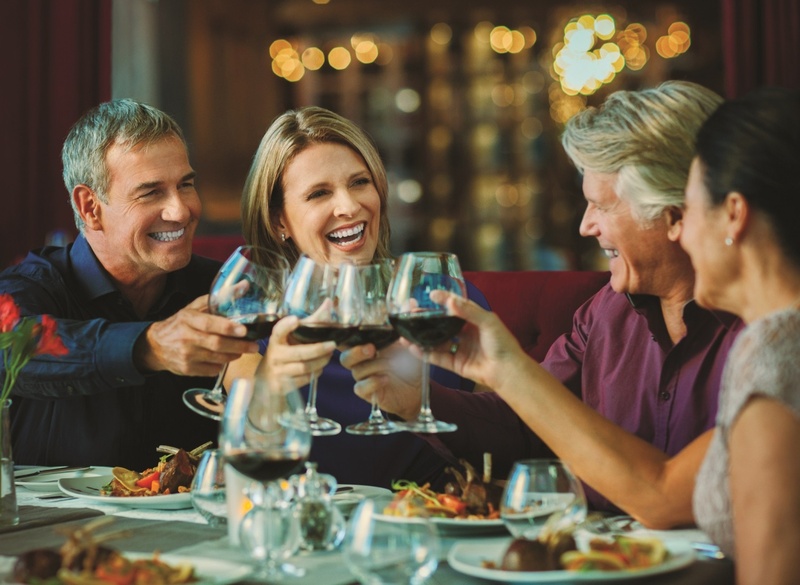 The Founders Club is located just three miles from I-75, minutes from a vibrant downtown area and world-class beaches, and only one exit away from the new Mall at University Town Center. This close proximity to the heart of the city will allow residents to enjoy everything city life has to offer without having to live smack dab in the middle of it. The short drive to The Founders Club removes residents from the hustle and bustle, allowing them to relax in the comforts of their community. 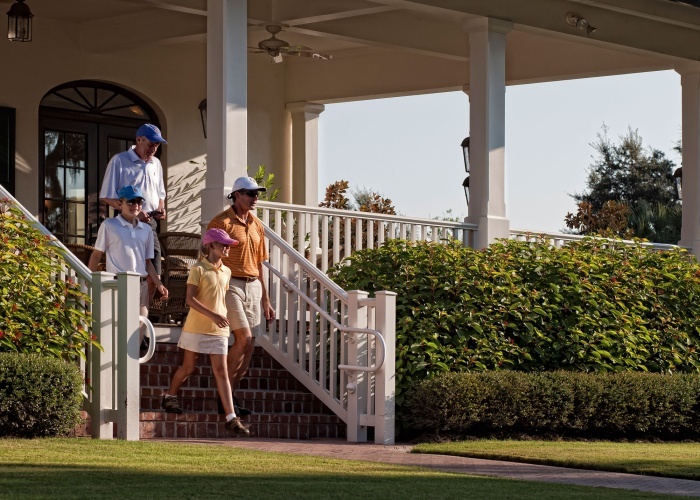 The Founders Club also offers a signature Robert Trent Jones, Jr. golf course, two Har-Tru tennis courts, basketball and sand volleyball courts, and a picnic pavilion. Fitness and wellness classes, educational and instructional programs, and social gatherings are coordinated by a professional staff. 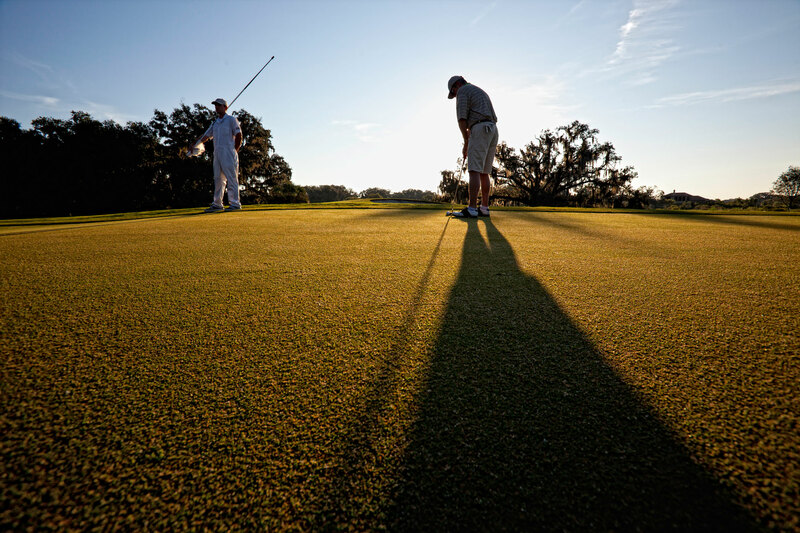 Limited to just 262 home sites, The Founders Club offers comfortable Golf Cottages, dramatic Fairway homes, or luxurious Estate Homes, all on expansive home sites with golf, lake, or preserve views. 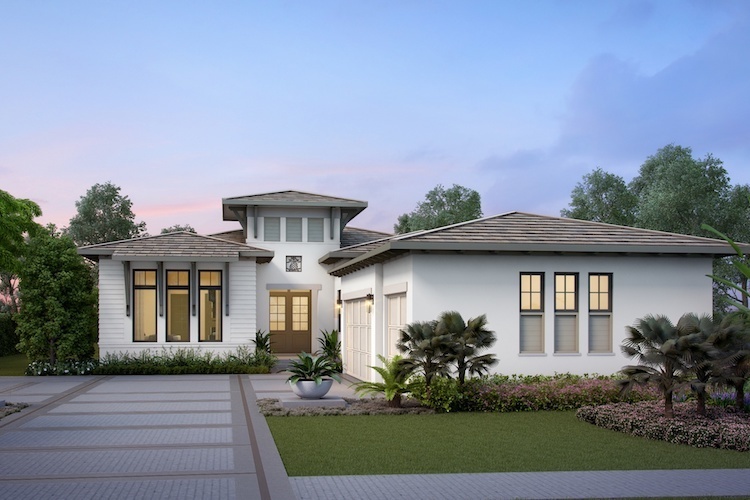 These beautiful luxury custom homes are built by London Bay Homes, a Sarasota custom home builder with more than 25 years of experience in the industry and a signature home building process that will guide you to a dream home that reflects your distinctive tastes and unique personalities. 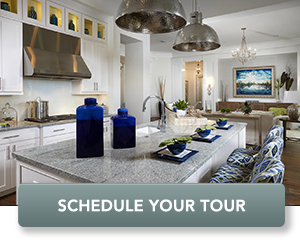 Model homes are available for viewing seven days a week. 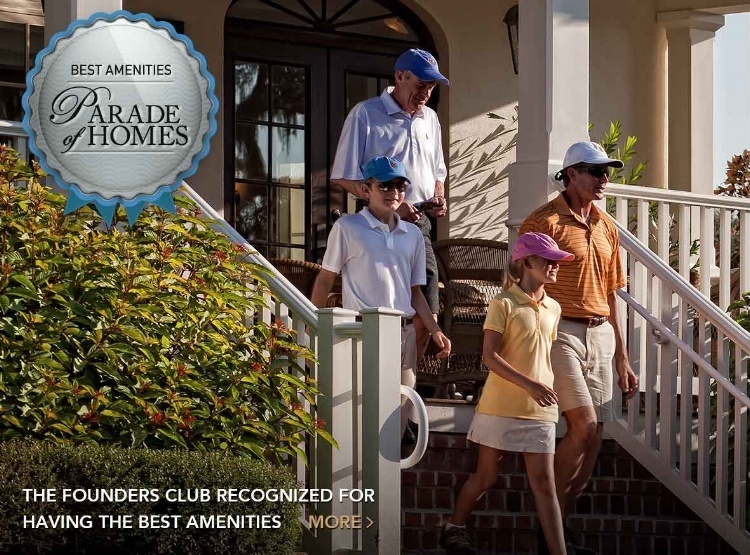 Discover your perfect luxury home community by scheduling a tour of The Founders Club or by downloading our brochure.